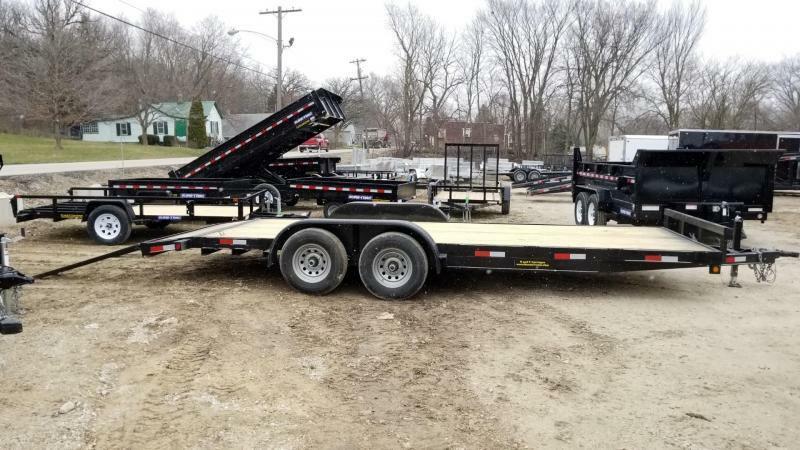 This 10k car hauler is equipped with tandem 5k axles. 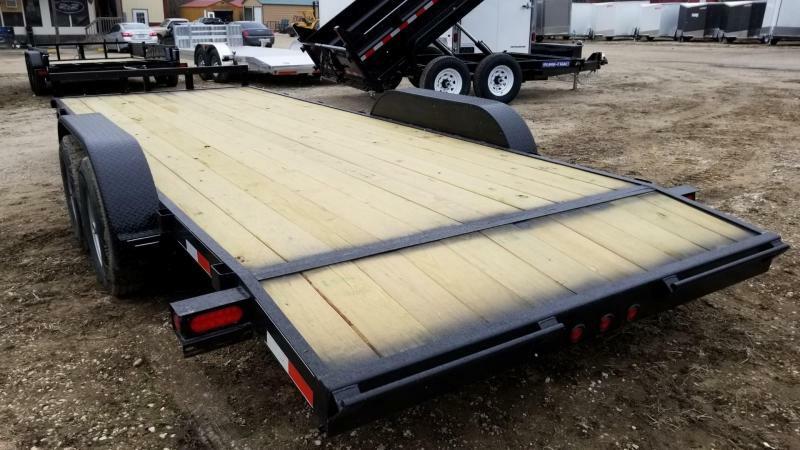 The front is extra wide to make the deck 82" The deck is 18 feet plus a 2 foot dovetail totaling 20 ft. 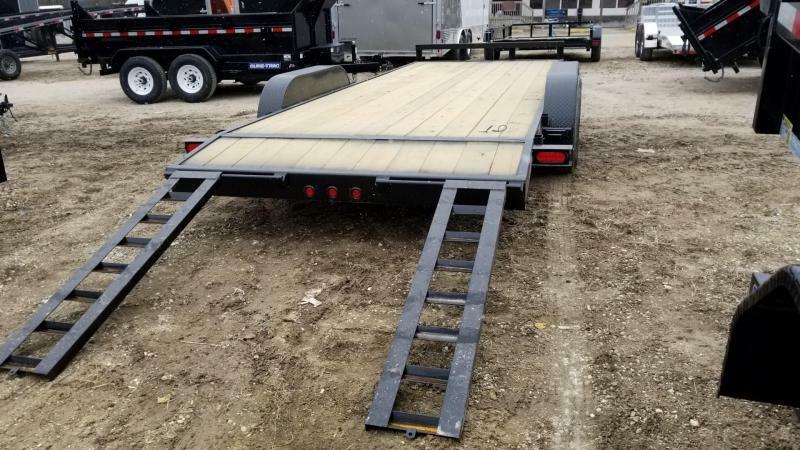 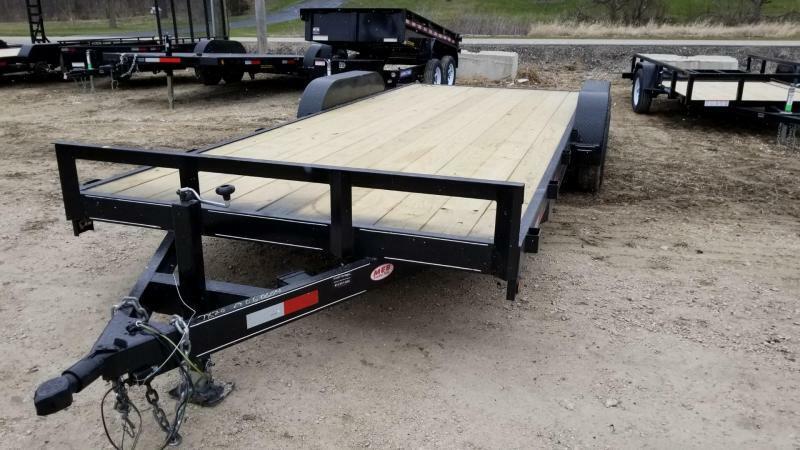 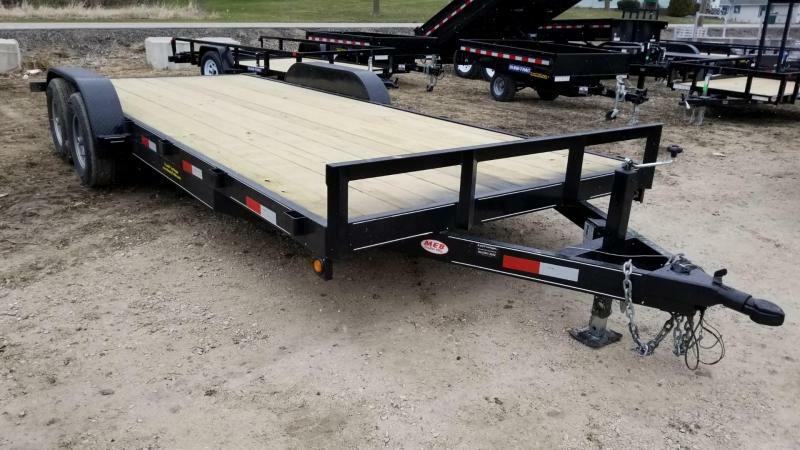 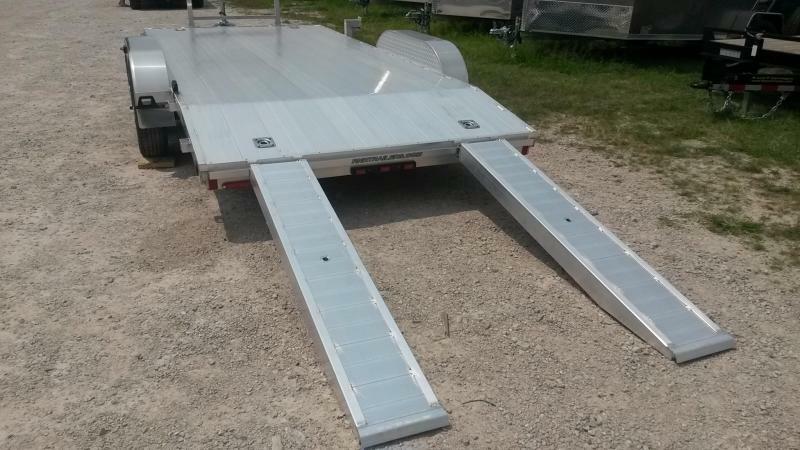 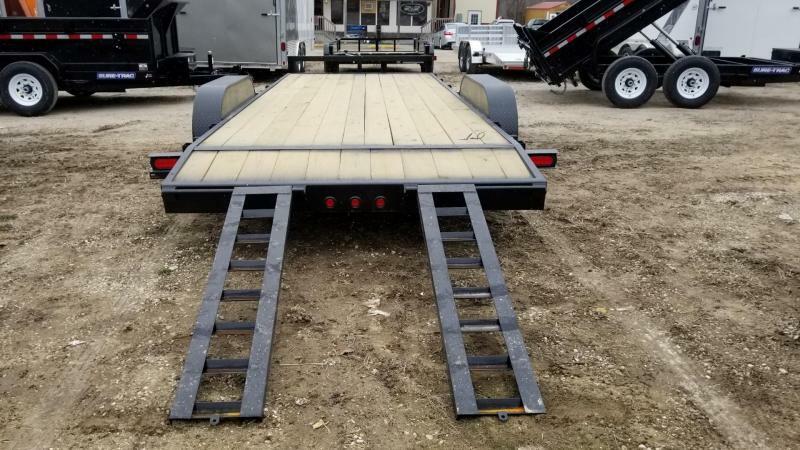 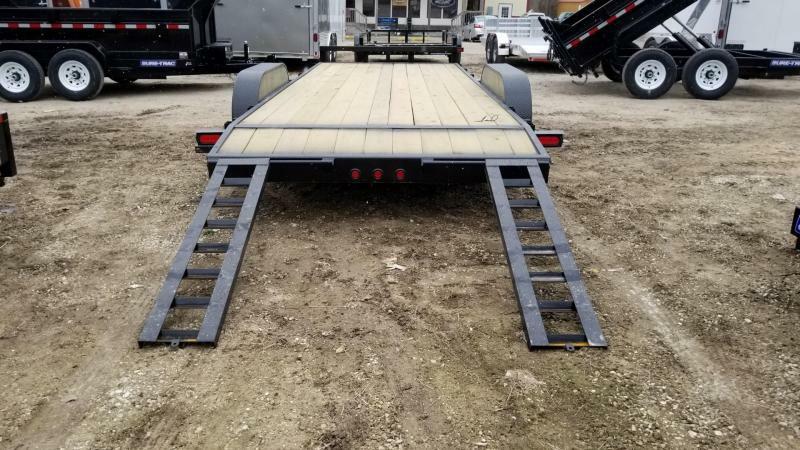 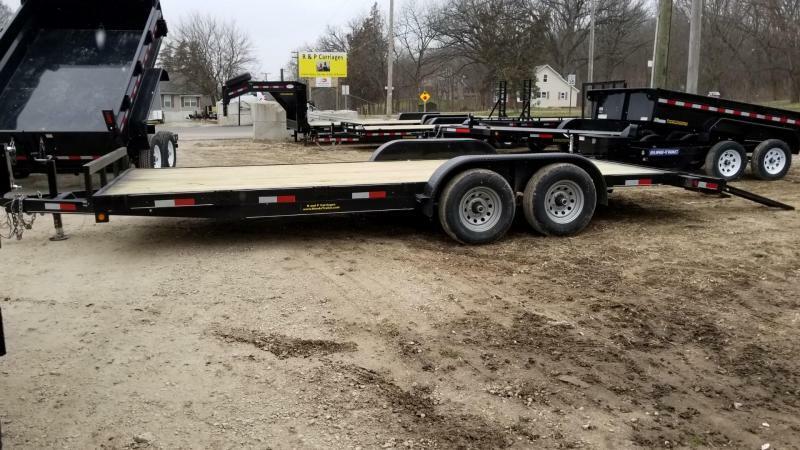 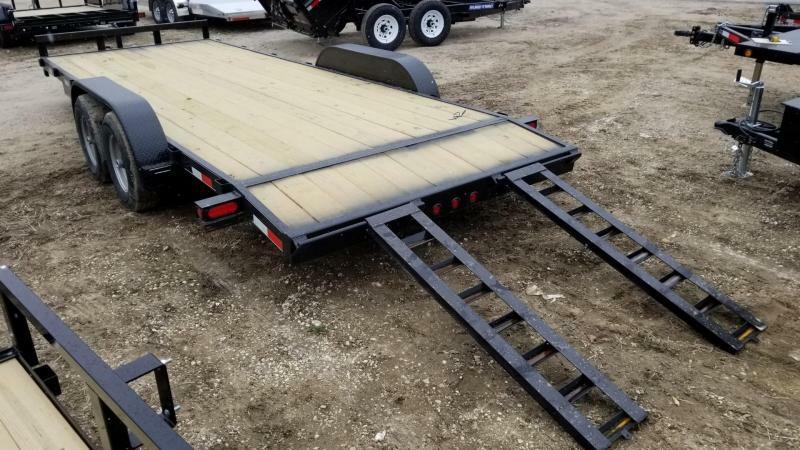 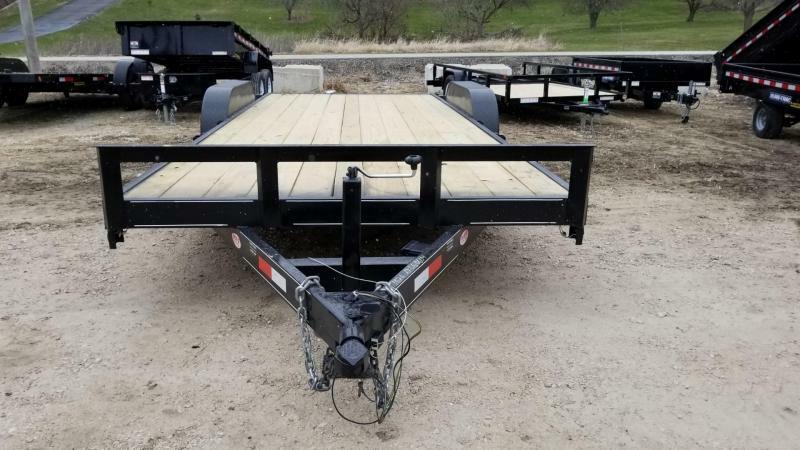 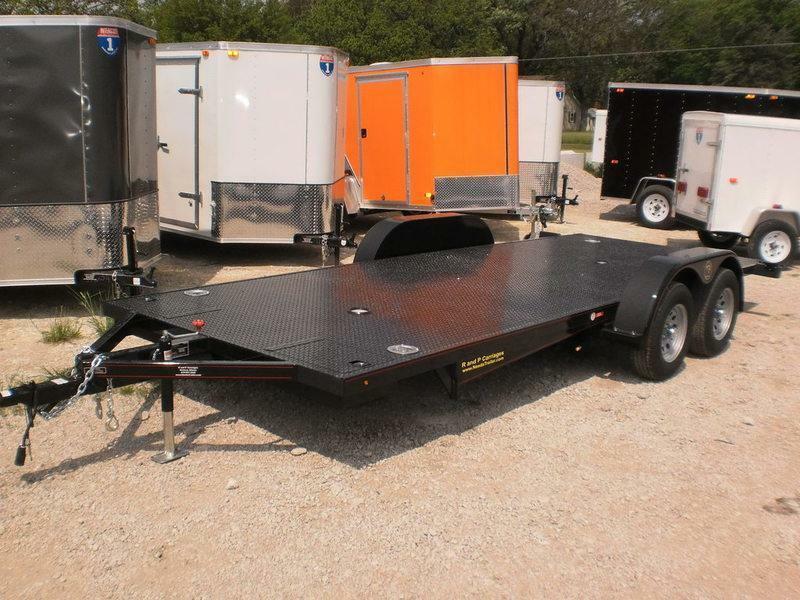 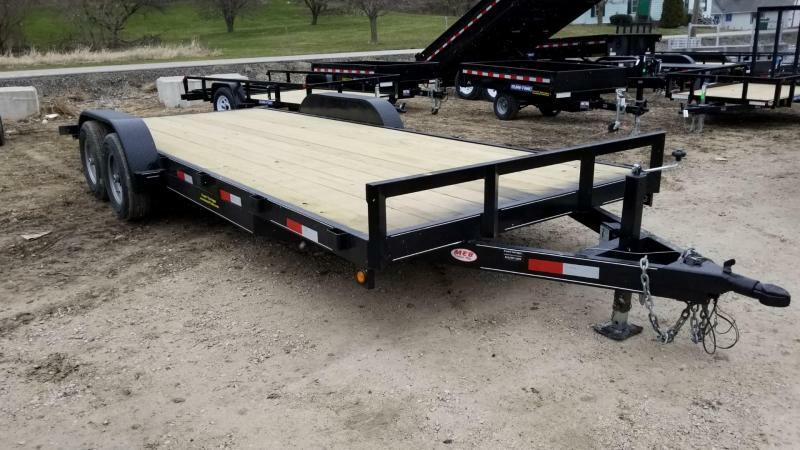 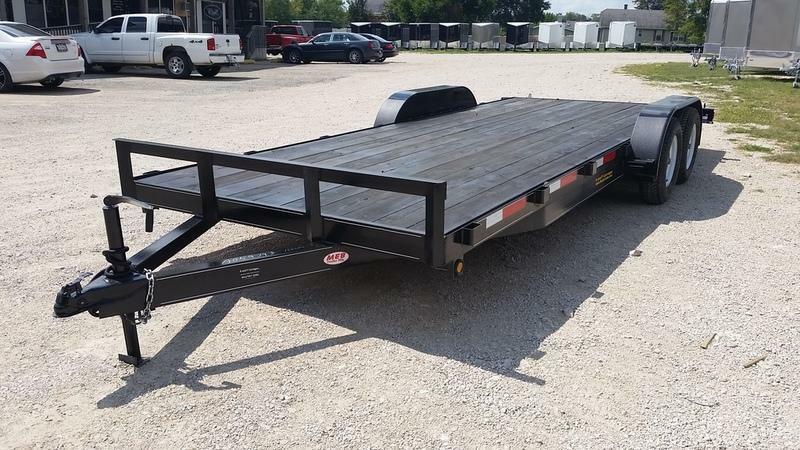 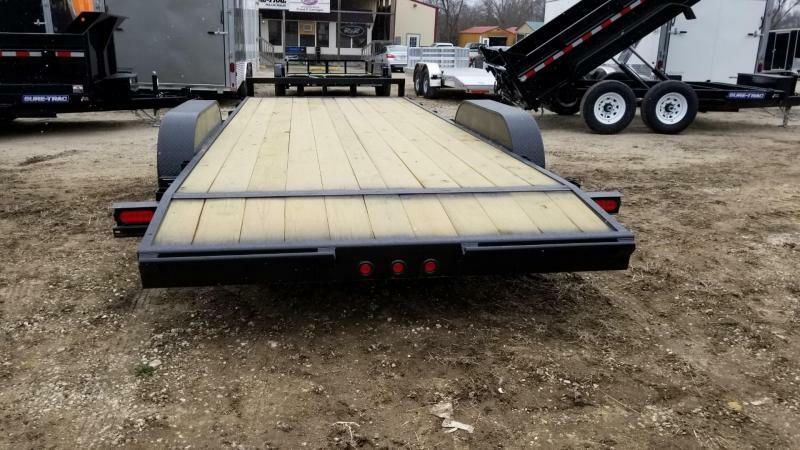 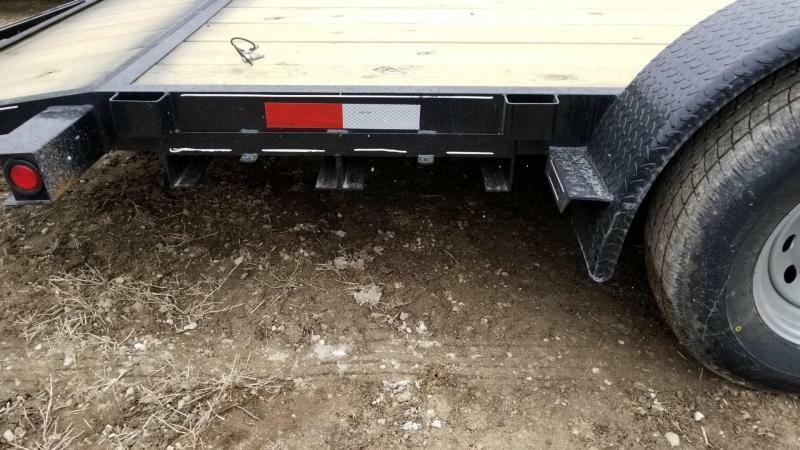 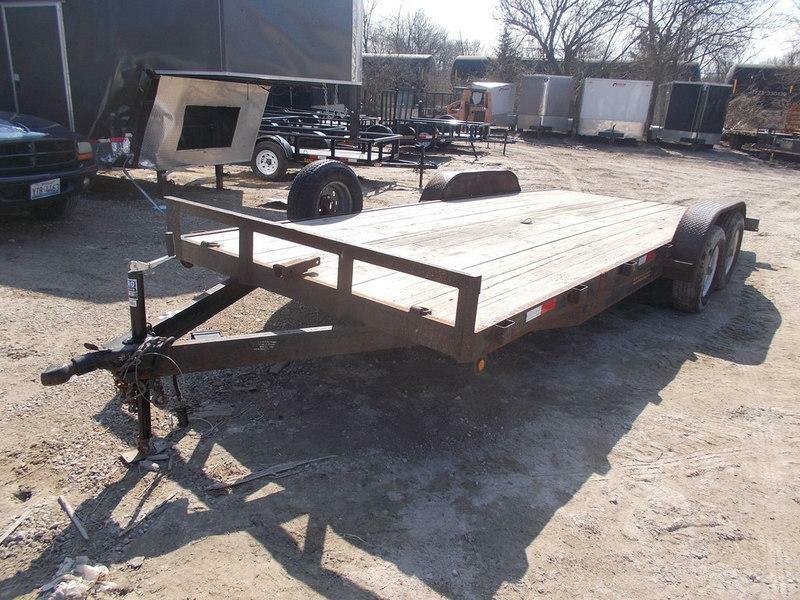 This trailer has a treated deck and slide out 5 foot ramps. 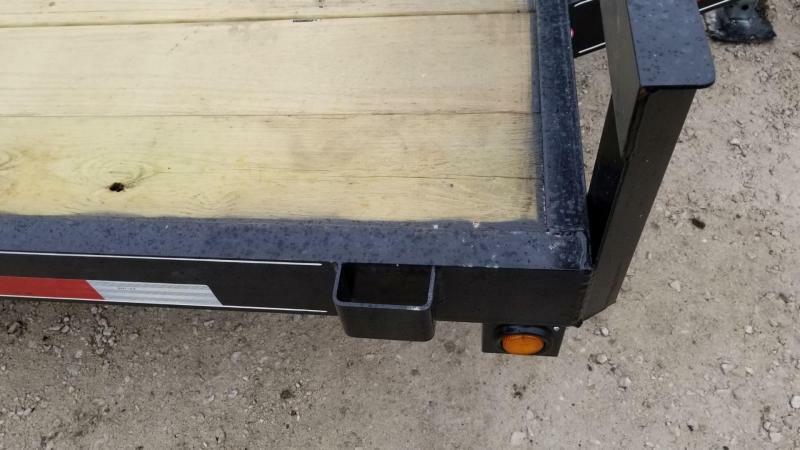 The fenders are tread plated. 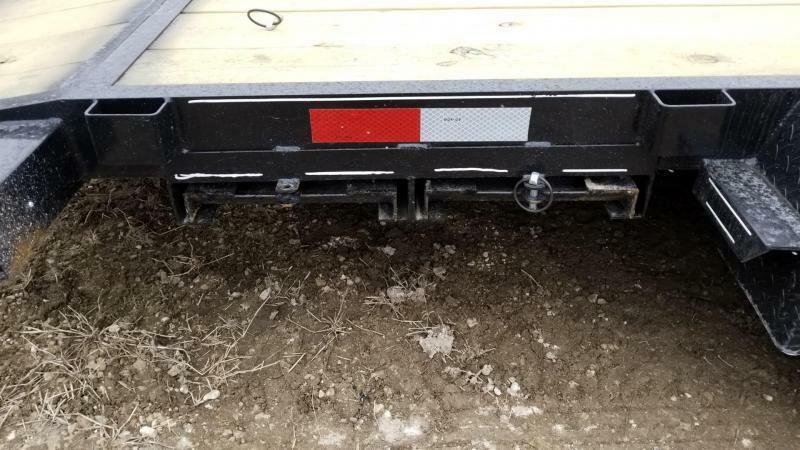 There is 1 brake on one of the axles, additional brake can be added for additional fee. 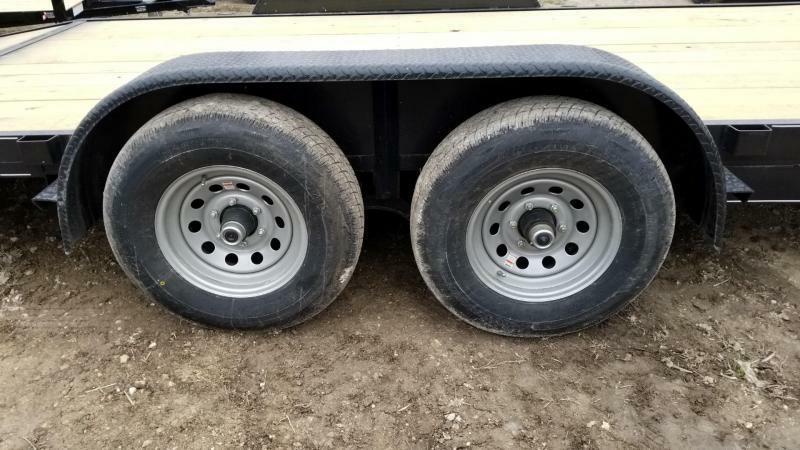 The hubs are 6 lug.